Finger-licking 15-Minute Honey Garlic Shrimp is quick and easy! This sweet, sticky, flavor-packed shrimp is perfect for busy weeknights. I feel like I’m running the risk of having a glorified shrimp party up in here but gosh darn it, I love it so! This finger-licking good honey garlic shrimp is ready in less time than it would take you to google your local takeout joint’s phone number. What’s that? You’re like my husband and have their digits committed to memory? Welll… this will be in your face in 15 minutes so… I still win. Actually you win too if you make this. 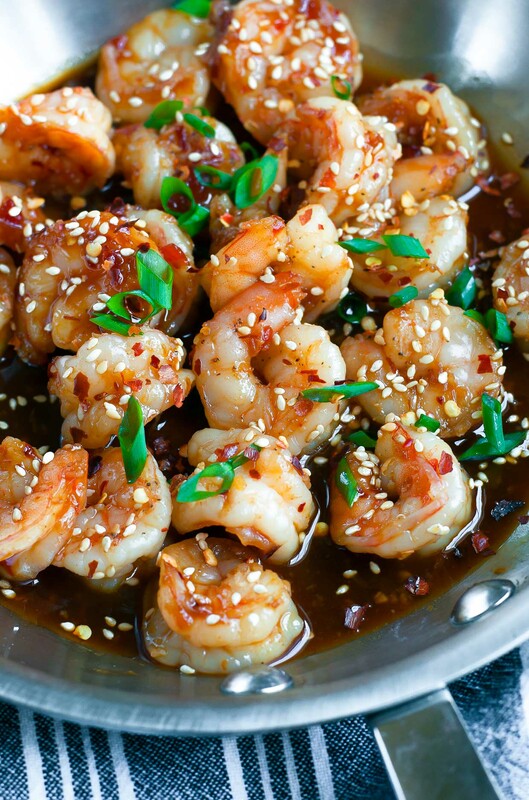 These speedy honey garlic shrimp are sweet, sticky, and bursting with flavor! As written, this recipe serves 4-6. Only serving two? Feel free to halve the recipe! See post below for some delicious side dish options to go with this speedy shrimp. Clean and peel shrimp, defrosting if needed. Lately we've been buying frozen, deveined, easy-peel shrimp. All I have to do is defrost, peel, and cook! You can also buy your shrimp already peeled if you'd like! Season shrimp with salt and pepper and set aside. Heat a large pan or skillet to medium-high and melt your butter. Oil can be used if preferred. Cook shrimp on each side for about 1-2 minutes until shrimp start to curl but are still a bit under-done. Add your sauce and cook for an additional minute or until the shrimp are cooked through. This will vary a bit based on the size you choose, so look for curled, opaque shrimp and you're good to go! For an extra thick sauce, remove and plate your shrimp, allowing the sauce some extra simmer time. Keep an eye on it as it reduces, stirring if needed. Remove from heat once thickened and pour over shrimp. Garnish with toasted sesame seeds and chopped green onion. For extra fiery shrimp you can even add with additional crushed red pepper flakes. Enjoy! Gluten-Free friends, simply choose GF Tamari or your favorite wheat-free soy sauce - there are lots on the market to choose from. No sweet chili sauce? No problem! Simply replace it with an extra 2 TBSP of honey. 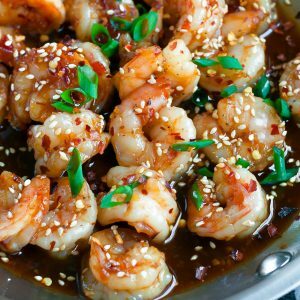 Looking for some tasty side dishes to pair with your honey garlic shrimp? We love pairing our shrimp with fluffy white rice and roasted broccoli. I’ll include our go-t0 recipe below! Whisk together oil, lemon juice, garlic, and black pepper in a large bowl. Add broccoli and mix to coat. 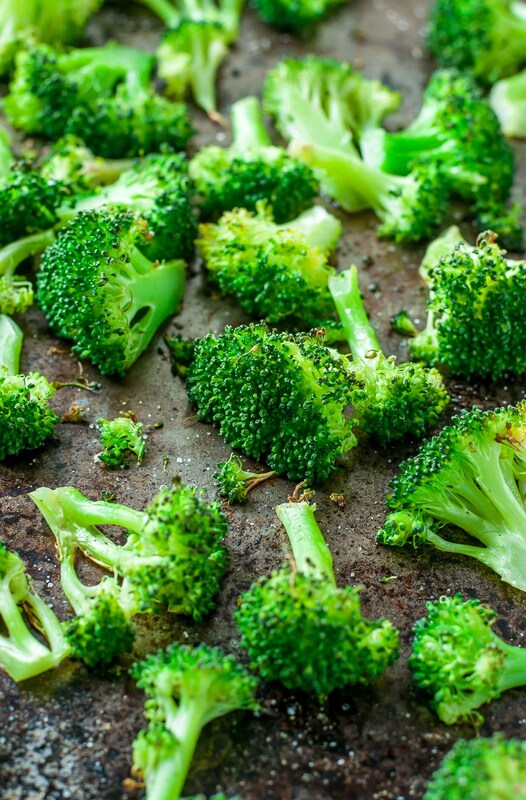 Spritz or rub a baking sheet with a little bit of oil and add your broccoli in a thin layer, spaced if possible. Season with salt (sea salt is my favorite) and bake for 15 minutes, or longer if more tender broccoli are preferred. Al dente broccoli will be ready earlier, so check at the 10-15 minute mark and more tender broccoli may take 20 minutes. I always snag a floret to test and judge based on that. You want tender broccoli on the inside with crispy browned edges basically. Now get your broccoli on and enjoy! I’m all about quick and easy recipes and my husband loves shrimp so this is perfect! Such a delicious main dish! Shrimp is a staple over here and I love the flavour pairings here. It really does rock my socks, haha! 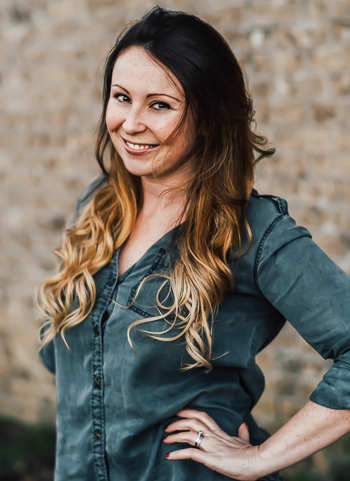 Thanks Samantha! I made this with prawns for me and my wife and with chicken for my daughter and it has quickly become the favourite recipe in the house, thank you so much for sharing this. We like it with sticky basmati rice and extra sauce drizzled over the top..
John I am so excited to hear it, thank you!!! So thrilled this is a new family favorite for y’all! Oh my, this looks scrumptious. and easy to prepare! I like it paired with broccoli and substituted with GF ingredients. Perfect for an any day meal!